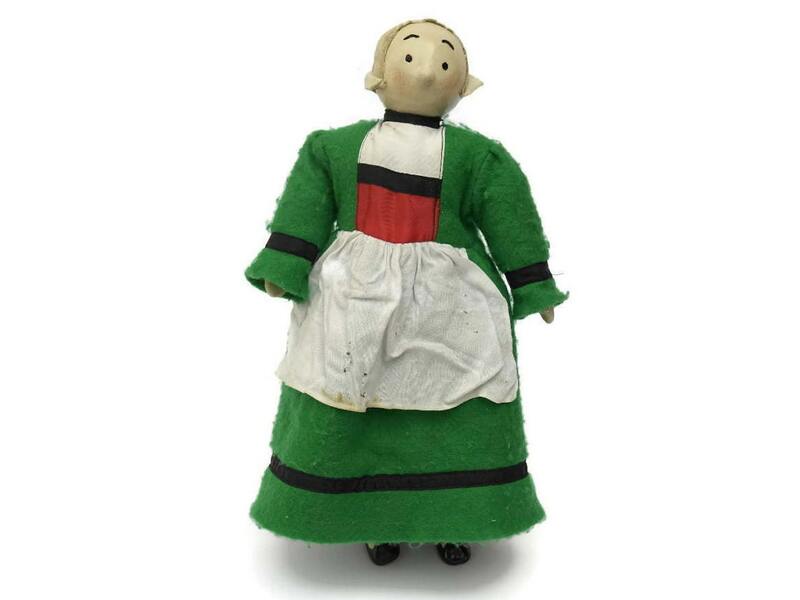 Vintage French Becassine Doll with Wooden Head and Bisque Porcelain Legs and Hands. 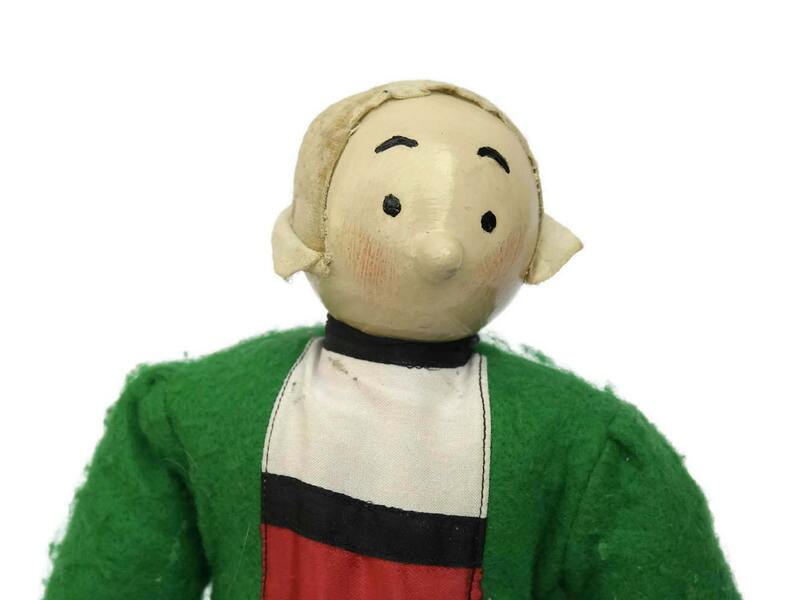 A vintage Becassine doll, a well loved French comic strip character who was created in 1905. Becassine comes from the region of Brittany and is dressed in traditional costume. She is kind hearted but extremely naive and always getting into adventures. The doll has a hand-painted wooden head; bisque porcelain legs and hands and her body is made from cotton stuffed with fabric padding. 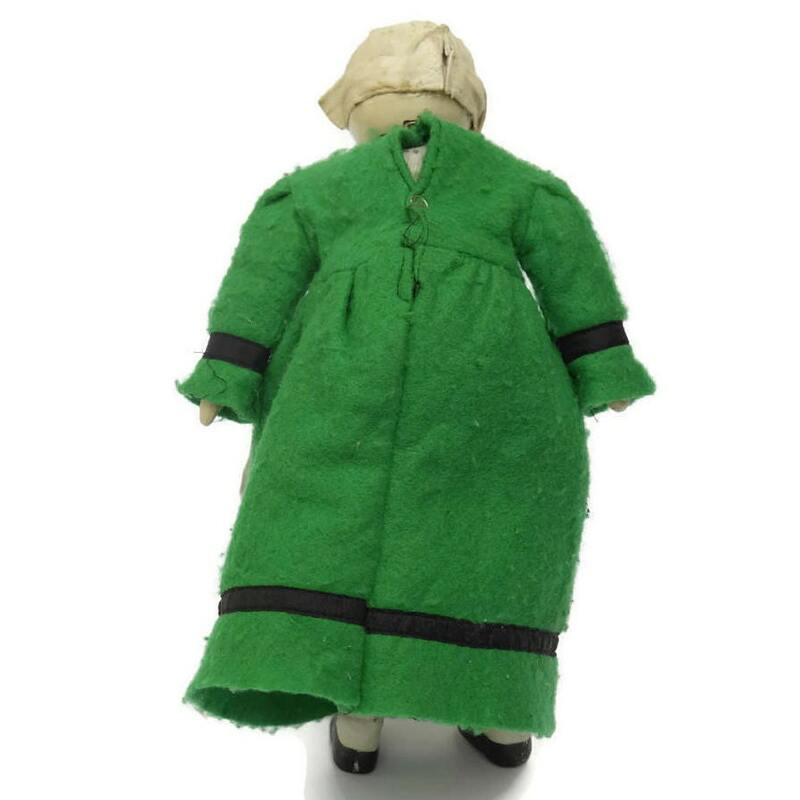 The doll's dress has been sewn from green felt and her bonnet from cotton material. 15" Tall x 5" wide (38cm x 13cm). 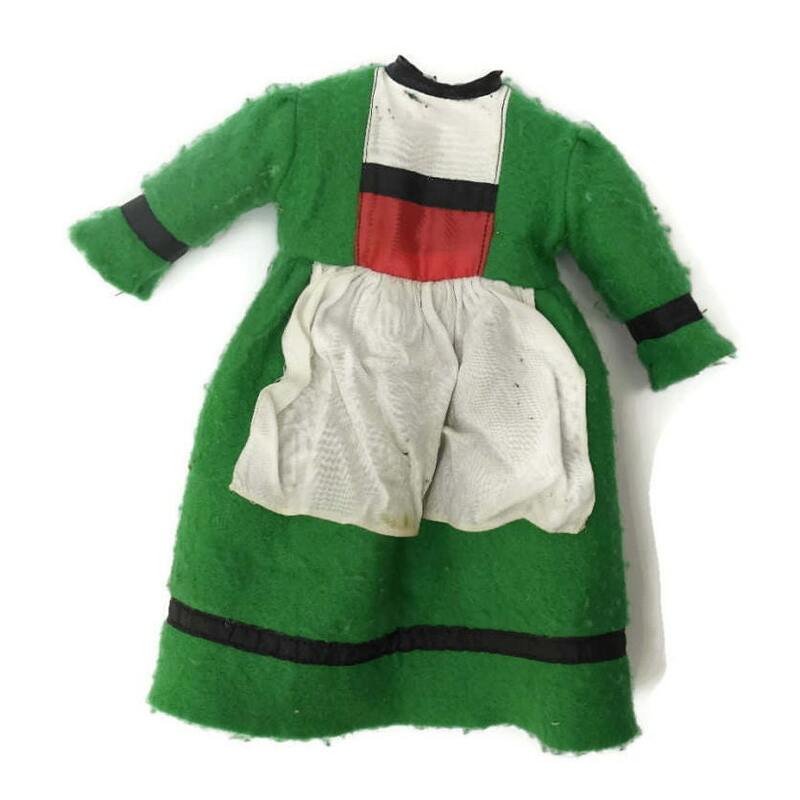 The vintage Becassine doll is in fair condition with some signs of age including marks and wear to her dress and bonnet.. 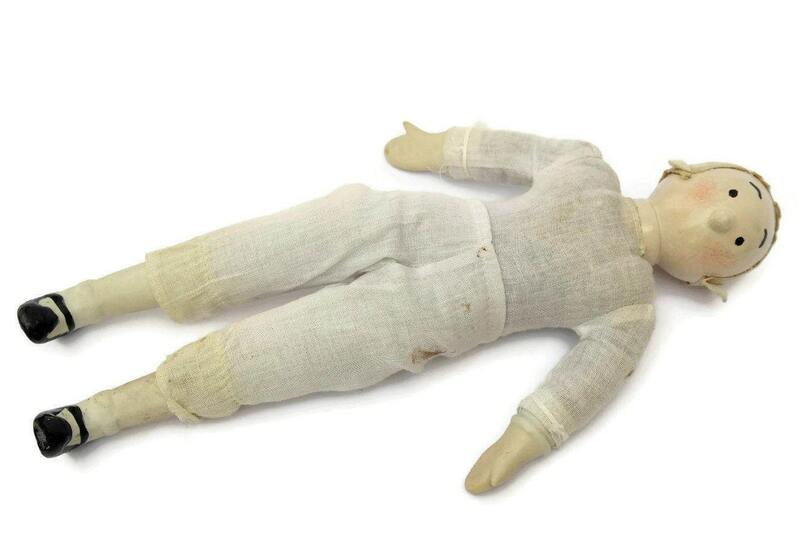 Item ref: Vintage French Becassine Doll with Wooden Head and Bisque Porcelain Legs and Hands.